Peter, Paul and Jude Okoye have had series of running battles in the past few years, which ultimately culminated in the disintegration of Psquare in February 2016. Peter and Paul went separate ways to pursue their personal ambitions and solo careers but not without promising fans that Psquare wouldn’t die, that they would always collaborate musically. The latest attempt to bring that promise to fruition has suffered some setbacks and is fast degenerating into a major controversy. Psquare was billed to perform in Congo at two concerts slated to hold on Friday, July 8 and Saturday, July 9 but Peter has denied endorsing the appearance. He said his name was “maliciously and mischievously” used to promote the event, and dissociated himself from the show, which was booked by his brother/manager, Jude. “This goes out to all my fans in Congo specifically and the entire world in general. My attention has been drawn to a much publicised show holding today 8th July, 2016 (VIP SHOW) and tomorrow 9th July, 2016,(in Goma) and on the 17th of August in Kinshasa wherein the name Psquare was used maliciously and mischievously to garner patronage and huge fans attendance as against the stage name Rudeboy, which is used when my twin brother, Paul, and co-owner of the stage name Psquare performs alone. 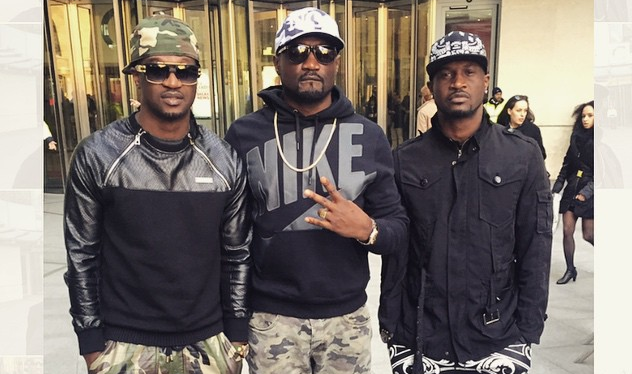 The acrimony between Peter and Jude, and their refusal to see eye-to-eye is generally believed to be one of the factors responsible for the crisis and disbandment of Psquare. In the disclaimer issued on his Instagram page, he further denied being sick, saying: “contrary to the wild allegations making the rounds that I could not attend the show because I am sick and missed my flight along with my crew members, I wish to counter same and state categorically, that I am 101% healthy. Meanwhile, organisers of the concert, Airtel East Africa, has claimed that Peter was informed of the concert and actively endorsed and promoted it. Peter was accused of making outrageous demands before issuing a disclaimer distancing himself from the Congo concert. Paul and Jude are yet to comment on the developing story.